For 69 days, 33 miners lived in dark, damp and humid conditions, pushing the known boundaries of human mental and physical strength to their limits. After the entrance to their mine collapsed, they awaited the most high-profile rescue operation of modern times, but how were they were freed? Read on below to see just how the miners escaped. The section of the mine in which the miners were trapped was 720 metres underground. 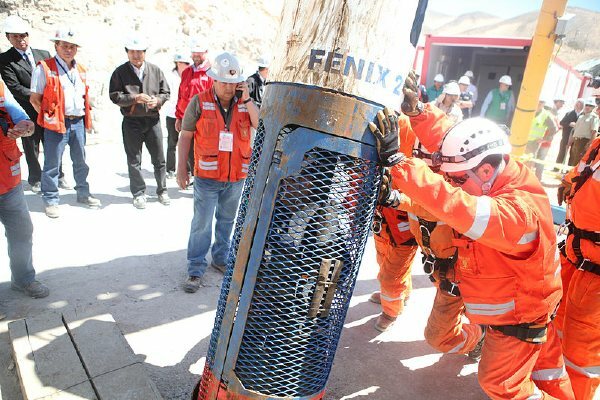 To find the miners, rescuers had to drill a number of experimental boreholes. Natural ventilation within the mine gave the trapped men enough oxygen to survive. Sustenance was scarce. Each man had only two teaspoons of tuna, a sip of milk and half a biscuit every 48 hours until they were found. With the men located, escape shafts could begin to be drilled. Previous story Why does the sky look red at sunrise and sunset?